The VCE/VET/VCAL Program, for Years 11 and 12 sees our senior students graduate with the confidence to be productive, independent members of the community. We provide a broad range of opportunities and pathways including VCE, VET and VCAL to cater for the diverse needs, interests and abilities of our students. As young adults, they gain the skills and knowledge to succeed in their post-secondary school goals and adult life, having developed a sense of confidence and self-worth. Students are supported and encouraged to focus and commit to their studies and to develop a level of independence that prepares them for adult life. Collaborative partnerships between staff, students and their families are strengthened and the career resources and a qualified counsellor add considerable depth to the Years 11 and 12 student guidance program. A dedicated senior study centre and specialist VCE teachers provide personal support and supervised independent study sessions. The VCE Headstart program extends VCE learning, and study camps, educational workshops, holiday revision and compulsory exam preparation ensures that students have the breadth and depth of skills and knowledge to achieve their best. A large selection of VCE subject choices gives our senior students access to an array of University courses including Science, Arts, Humanities, Engineering, Architecture, Medicine, Law, Pharmacy and Commerce. a range of VET programs made available through a number of local providers. 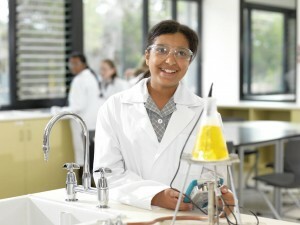 More information regarding the program is available In the Senior School Course Selection Guides. Booklists (Year 11, Year 12) are also prepared and available for each year level.